GIG: Friday March 15, 8pm: The Honey Badgers Album Release Show (we’re one of the opening bands!) – Hot Breakfast! Hear ye, hear ye! The Honey Badgers have a new album out, and it’s called “Meet Me,” and they want you to celebrate its release! 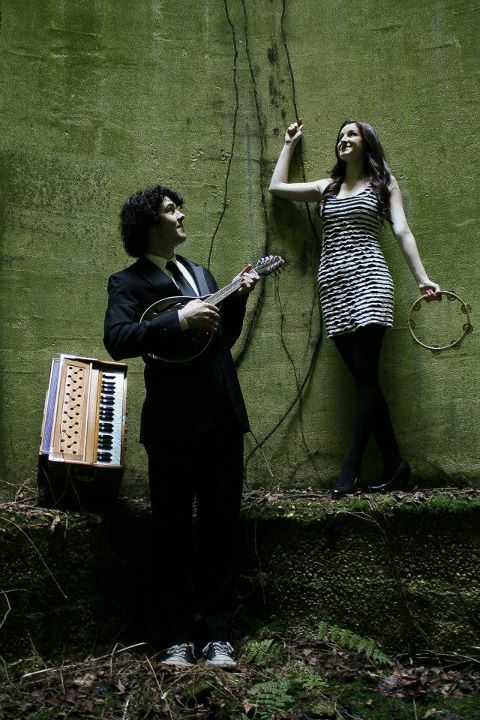 We cannot say enough great things about The Honey Badgers, that amazing folk duo out of Newark. They’re fun, kind, delightful humans, and their music is absolutely gorgeous. Combining Erin’s velvety vocals (though MAN can she pack a belty punch when she needs to– daaaaamn!) with Michael’s smooth voice and maddddd guitar skills (among other instruments), and you get a gorgeous tapestry of sounds and textures, rich harmonies, and honest lyrics that really, really resonate. In fact, we love them so much we don’t even mind that they’ve completely destroyed our shot at being the best male-female acoustic duo from Delaware with the initials HB. Nope. We don’t mind that at all. NOT EVEN A LITTLE. 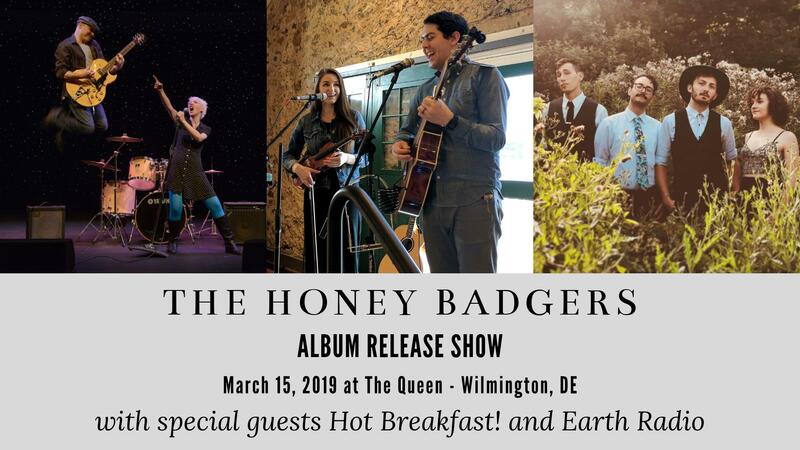 Anyway, the Honey Badgers are releasing their new album on Friday, March 15th at I Am Art, a lovely gallery in Wilmington that serves as a venue for all kinds of art – including musical and spoken-work performances Upstairs at The Queen (note the venue change! ), and we are so excited and honored to announce we’ll be one of the two bands opening up their show and celebrating with them. The second band is the energetic and soulful Earth Radio — these cats blend folk, rock, jazz, and timeless lyrics into a high-energy, super-engaging show. It’s gonna be a great night. The Honey Badgers are releasing their highly-anticipated new record, and we are thrilled to be kicking off the night for them. Also on the bill is the high-energy Earth Radio, who are making some genuinely wonderful music. This will be a great night! http://thehoneybadgers.brownpapertickets.com at the door! Online ticket sales have ended, so grab your tickets at the door! Music starts at 8pm sharp with us playing first! **BONUS**: If you bring your ticket stub or online ticket receipt to Stitch House Brewery (829 N. Market, which is easy walking distance from The Queen), you’ll get 10% off your bill before and/or after the show… so make a night of it! WHEN: Friday, March 15th. Doors open at 7:30pm, show starts at 8pm. TICKETS: $10. Get them here at BrownPaper Tickets. at the door! Online ticket sales end the morning of the show, but you can still get tix at the door. FAMILY FRIENDLY? Yes! All ages! FOOD: No food, but there will be a full bar. 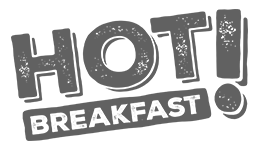 But see above for an offer from Stitch House Brewery for 10% off your bill for before and/or after the show! PARKING: Lots of street parking that’s free after 6pm, and there’s the Queen’s parking garage on 5th between King and Market.